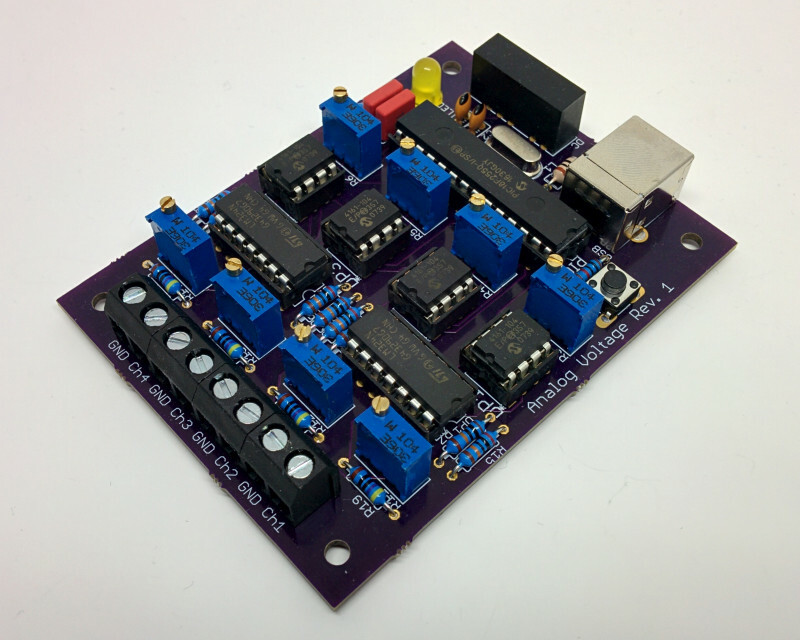 This board has four analog voltage outputs. The output voltage can be adjusted with two trimmers. The range can be changed from 0 to 10 volt, the offset can be adjusted between around -11 to +11 volt. Various combinations are possible, e.g. 0 to 5 V or 6 to 9 V. The voltage range has a resolution of 256 steps. Also original gauges which need an analog voltage can be interfaced with this board. 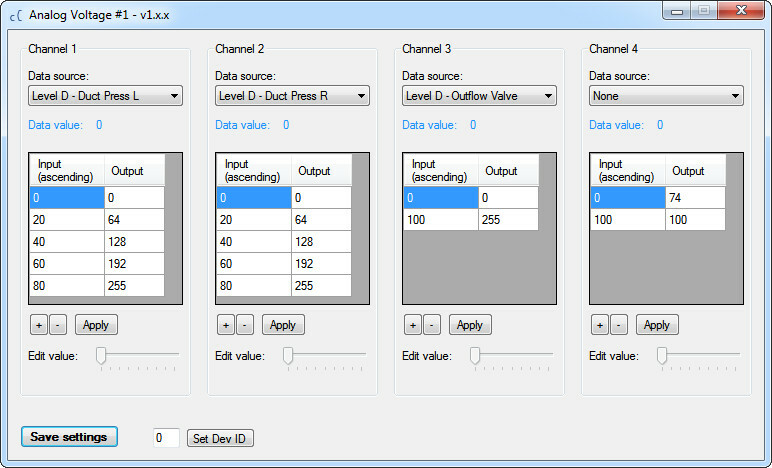 Thanks to the lookup table, even irregularly spaced dials can be calibrated. The outputs are designed for high-impedance inputs and can only be loaded up to a few mA.